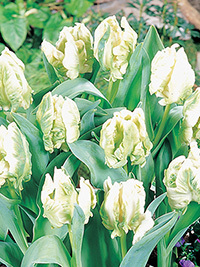 These bizarre and flamboyant tulips are admired for their ruffled, decorative petals and cheerful, bright colours. 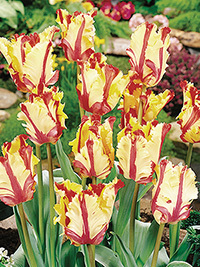 Ruffled swirls of yellow on carmine red. Very exotic looking. Mid season flowering, 40cm tall. Pure ruffled white with a green flame rising through it. Mid season flowering, 40cm. 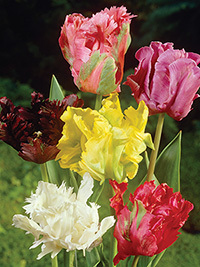 Mixed Parrot tulips. A mixture of many different colours. 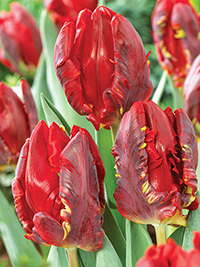 With ruffled petals and striking colours, parrot tulips are always in demand.